Already listed with our Phuket lawn and garden maintenance directory? 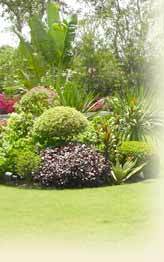 Make your lawn and garden to show your quality area arrangement. Design a landscape to suit for Phuket lawn and garden that a space can be a little playground for your children. How is it wide? How much do you want to pay? Tell to lawn and garden shops to reflect at your need. Penvadee Garden Stone, manufacturer and distributor of natural raw materials and finished products in marble, granite slat and sandstone... includes stone garden fittings, outdoor/ interior decoration, building slates and monuments. Welcome to Suttichorn Landscape, we specialize in landscaping, gardening, water system for gardening, hardscape, maintenance as well as distribution of Dragon fruits both for retail and wholesale including plants, soil and chemical products.